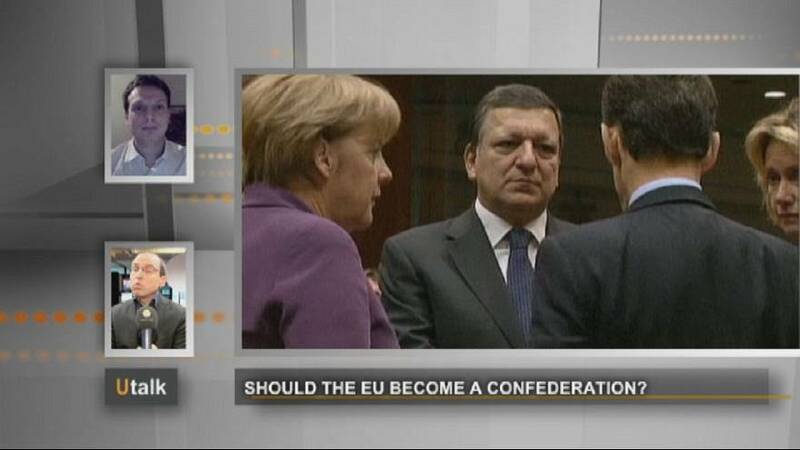 Should the EU become a confederation? Why can Europe not adopt a confederal political system, flexible and central, as in Switzerland? Confederalism in general is transitory. Looking at Switzerland, although it is called the Helvetic Confederation, it is a federal state. It started out confederal, a unification of cantons, of entities pooling certain powers. But when this becomes something structured of course we pass to a federal state. The other well known example is obviously the United States. Making a comparison with the European Union makes sense in a way, but you have to watch out for two things: the EU is not a state like the Swiss confederation or the US, and; the EU is a unique sort of model. These are independent states that have accepted a pooling of certain powers, to work in a certain way, but not all their powers. Very clearly, there is a lot of reluctance about following a federal logic any further. Those against advancing more towards federalism generally are several states or political forces. You have some countries that agree and who agreed to enter into the European Union, the union’s way of working, especially attracted by the single market, which is to say the free movement of people and goods in a vast area – but who do not agree about transferring some prerogatives, or powers, which they hold as sovereign states. That could be defence, which is sensitive. Think of the nuclear powers Britain and France, for example. But it can also be other areas, such as social policy. Member states still control the essentials of social policy, or society’s major considerations. So, these are states or political forces that we can say are sometimes eurosceptic.